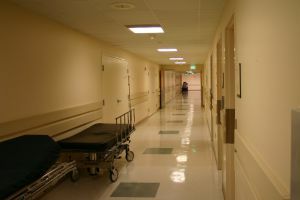 Marshall v. Vermont State Hospital, an appeal from the Supreme Court of Vermont, involved claimant who was working at a psychiatric hospital when he was injured on the job. He was employed as a psychiatric technician and orderly. Part of job responsibilities required him to work with abusive and often combative patients. While lifting and otherwise working with patients, claimant was injured on the job in 1987, 1992, and 1997. All of these prior work-related injuries involved low back issues with pain radiating down his leg. Following each of these injuries, claimant had surgery. After the 1992 work injury, claimant’s surgeon determined claimant was 10 percent disabled. After the 1997 injury, his disability rating remained the same. In June of 2002, claimant was still employed at the hospital and was helping to restrain a self-abusive patient. During this incident, patient managed to lift both his legs off the floor and shifted his entire body weight to claimant and another hospital worker. Claimant was injured and suffered immediate lower back pain with pain radiating down both legs. After this fourth accident, claimant never returned to work. He also did not have any additional surgical procedures and filed a workers’ compensation claim. During claimant’s application process, his treating chiropractor submitted a report claiming whole patient impairment rating of five to eight percent for claimant’s lower back injury. Parties agreed upon this eight percent whole body disability rating and reduced this figure to six percent, taking into account his partial disability rating workers’ compensation commission had assigned claimant in 1992. Unfortunately, claimant still suffered lower back pain and radicular (radiating pain) issues. He had an MRI performed on his lower back in November of 2004, which determined he had a herniated disc in his lower back. This was after a 2002 MRI showing no disc herniation. As Boston workers’ compensation attorneys can explain, many work related injuries can worsen over time, and benefits may need to be reevaluated to help make sure claimant is getting the workers’ compensation benefits to which he or she is entitled. In 2008, claimant consulted with an attorney who had two medical professionals examine claimant’s medical records and case history. After their review, they found claimant to have a 25 percent disability. After subtracting the eight percent already assessed, claimant argued his new disability should be 17 percent. Claimant argued for a new disability rating consistent with his doctor’s opinions, however, the state argued against such an increase, and the administrative law judge (ALJ) sided with employer. ALJ found clamant had not established his condition had gotten any worse, and, if it did, he failed to establish if his new pain was related to the 2002 accident. At this point, claimant appealed this denial to the state civil court, and that court, through a somewhat complicated process, agreed to hear the case and handle two certified questions from the workers’ compensation commission. The commission wanted to know if claimant was entitled to additional medical benefits for his 2002 injury, and whether claimant was entitled to a new permanent disability rating if the early determination was based upon a mutual mistake. During this proceeding, civil court denied employer’s motion for summary judgment and ruled in favor of claimant, agreeing he was entitled to additional compensation since his work-related injury had gotten worse. Employer then appealed to the state supreme court, which found civil court had made a mistake of law and reversed the lower court’s decision. If you are injured on the job in Massachusetts, call the Law Offices of Jeffrey S. Glassman for a free and confidential consultation to discuss your workers’ compensation claim: 1-888-367-2900.